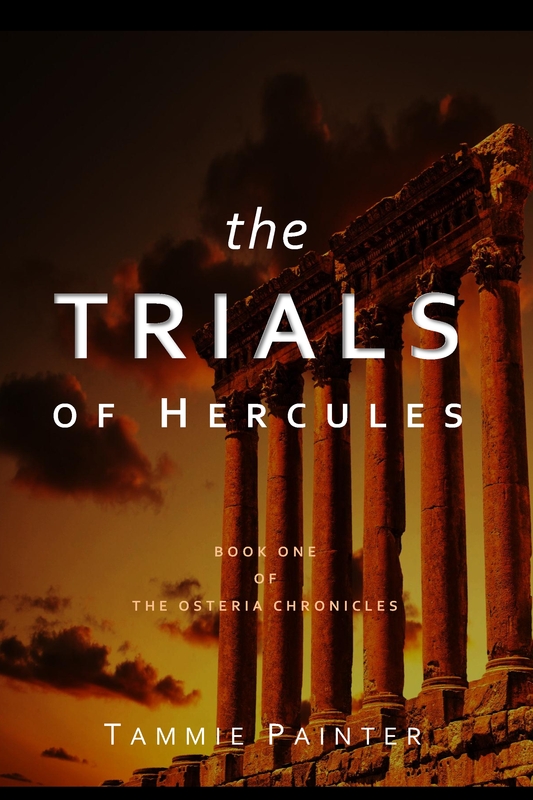 It’s been a few weeks and I know you’ve missed them, so let’s jump into this week with an interview with a character from my upcoming book The Trials of Hercules. You may be familiar with Atlas as the titan who bears the sky on his shoulders. 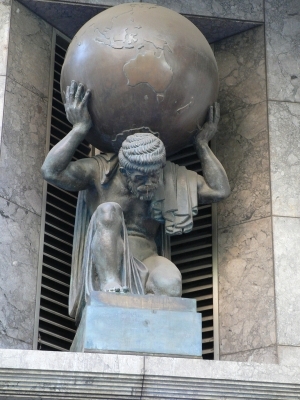 In statues, Atlas looks as if he’s holding up the earth, but what he’s actually under is the sphere that ancient people used to believe held the heavenly bodies in the sky. In The Trials of Hercules, Atlas has a small role, but he’s a memorable character I had fun writing. Hercules has to play a trick on him and since it’s a rather obvious trick, I thought it would be fun to make Atlas a bit dimwitted. If you’re up on your Bugs Bunny and remember Pete Puma, well, he was the basis for Atlas in the book (if you don’t, there’s a little clip of old Pete at the end of the post). Thanks, Looney Tunes for always being an influence for better or worse! Question: List three pet peeves. Atlas: I don’t have any pets. Holding the sky all the time makes it hard to feed them. I had a dragon once, but he got bored, and hungry I guess, so he went to live with my daughters. I miss him. Atlas: I can hold things for a really long time, which is good because if I drop this (looks over his shoulder at the sky he’s hoisting), it’s bad news. Q: Would be your ideal birthday present, and why? Atlas: A visit from a chiropractor would be nice. I’ve had a big knot in my shoulders for as long as I can remember and I can’t figure out why. Or maybe an umbrella for when it rains. But, wait, how would I hold it? Q: Which way does the toilet paper roll go? Over or under? Atlas: I don’t know. Titans don’t go to the bathroom, so I really don’t know. Over? No, that doesn’t make sense. Under? No, that’s no it. Can I get back to you? I need to think about this one. Atlas wanders off, sphere perched on his shoulders, muttering to himself, “over or under?” He stops, turns around with his face bright with excitement. Atlas: You could do both if you had two toilet paper holders. So, there you go, everyone, Atlas has solved an ongoing debate…although now we’ll all need to remodel our bathrooms.